Though not positioned as far north as Fairbanks, Anchorage also offers some great opportunities for Northern Lights viewing. You will generally be able to spot them a bit lower on the horizon. Though you might be able to see something of the aurora borealis after sunset in the city, the dense population and light pollution make it a lot more difficult. Again, you’ll want to head away from those city lights. As far as how to venture out of the city for a viewing, there are plenty of great options. If you’re the do-it-yourself type, a great option is Nancy Lake State Recreation Area. Many locals rave about the views from Flattop Overlook. You can also venture into the Glenn Alps for a chance at some spectacular borealis action. Finally, you could always book a day-tour up to Fairbanks. You’ll get to see some of the countryside, have a better chance of glimpsing the lights, and also get the benefit of a tour guide who will have the best idea of where to find a cloudless evening sky. 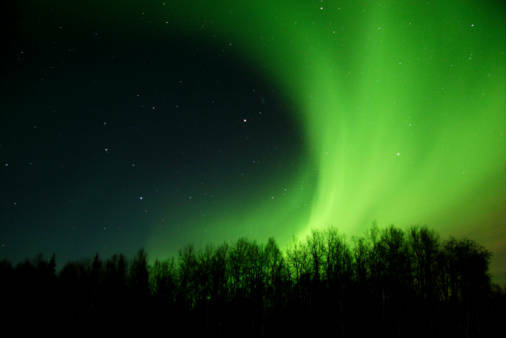 Many people consider Fairbanks the single best place for viewing the Northern Lights in Alaska. Located directly beneath the oval of the Northern Lights, the northerly location of Fairbanks means that aurora borealis hunters don’t have to venture too far away from the city in order to spot the lights. To get the best view, you’ll want to drive away from the ambient lights of the city. 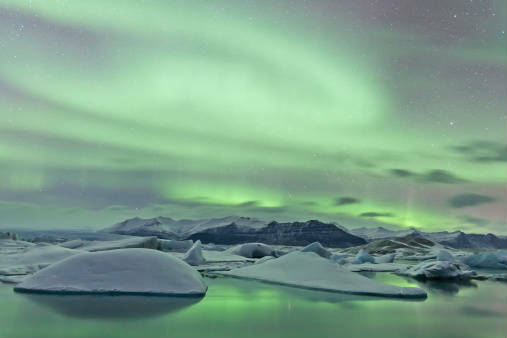 Wait for a cloudless night and make certain you check in with the Geophysical Institute’s website to see how active the northern lights will be. Once you’re away from the city, the landscape darkens quickly. Be cautious, of course, since the winter temperatures here can be dangerously cold. Make certain you bundle up and stay on roads that have been cleared of snow. You might also consider pairing your Northern Lights viewing with a trip to one of the hot water spring pools outlying the city. If you have access to a 4-wheel drive, you can venture further into the back country and try either Ester or Murphy Dome. Because of its solitude, 6+ million acres, and lack of light pollution, Denali National Park is an amazing destination for outstanding Northern Lights views. Denali Viewpoint South off of the Parks Highway offers you a great chance to view the Mt. McKinley rising majestically beneath the sparkling aurora borealis. One of the best ways to see the Northern Lights is to book lodging around the park. 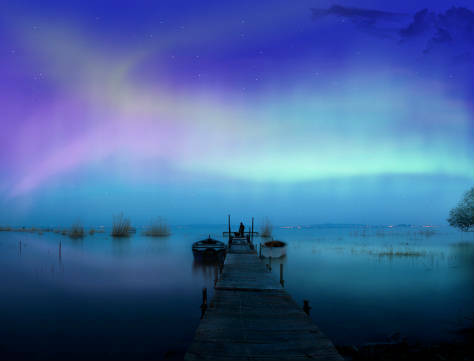 Since the Northern Lights can be temperamental and aren’t always visible every night, this will give you the best chance at catching an unobstructed view. Many lodges will also ring an alarm—or give you a wakeup call if you’ve requested one—if the lights suddenly appear overhead. Barrow, Alaska is located at the extreme Northern edge of Alaska. It’s actually 330 miles north of the Arctic Circle and the most northern settlement in the US. Though many folks aren’t adventurous enough to head up to these northern climes in the wintertime, those who do can be in for a real treat. Not only does Barrow have front row views of the beautiful aurora borealis, but there’s a lot of traditional Alaskan culture that can be found there, too. If you head up to Barrow for the lights, you’ll also be able to explore the Inupiat culture. Visit the Inupiat Heritage Center to learn more about how people traditionally whale hunted in Alaska. You can also learn more about dogsledding and participate in traditional Inupiat arctic games. Finally, one of our favorite places to see the Northern Lights has got to be in Nome, Alaska during the Iditarod Not only can you get a chance to dog mush and watch some of the best racers in the world, but Nome offers so, so much more this time of year. The official finish line of the race, the city spends the two weeks preceding the race celebrating in a lot of fun ways. There are snow machine races, bar game tournaments, basketball, art shows, and craft fairs. Basically, it’s considered the Mardi Gras of the North. Though the lights aren’t viewable every night in the winter, when they do show up they can be remarkable. The best part, however, is that one only has to venture a mile or two away from the city for the Northern Lights to come into full view. Just about any local can give you solid advice on the best places to see the lights. Though Alaska might not be the first place you’d think of for a wintertime vacation, we guarantee you that our views of the Northern Lights are an once-in-a-lifetime experience. And if you’re looking for a memorable seasonal job or full-time position where you can watch the Northern Lights every winter, browse our jobs in Alaska and apply today! Want to learn more about the lights? 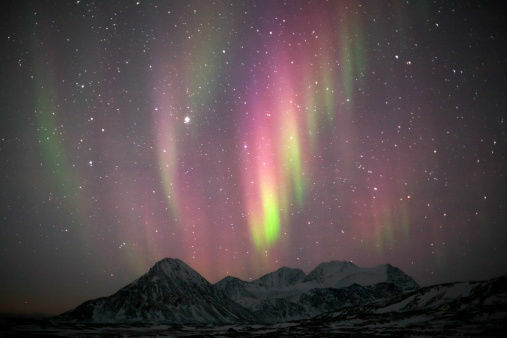 Then be sure to check out our post 8 Amazing Things About The Aurora Borealis.